If you have used WordPress, then you know that it has easy to use features and a powerful SEO which makes it the most sort Content Management System. In fact, WordPress powers more than 45 percent of the entire internet. 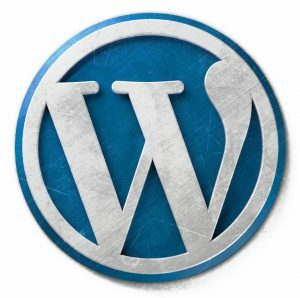 More than 50 percent of websites that use CMS are on WordPress. And the interesting part about it is that it is totally free. You can use it for as many sites as you want for free. WordPress houses hundreds of themes you can choose from ranging from personal to business website templates. Most of them are free, but if you want a more advanced touch, you can spend a little more for a perfect theme. A number of famous sites are using this great Content Management System such as “CNN”, “Reuters”, The “People” Magazine, “The Rolling Stone”, “Vogue”, “MTV News”, “Wall Street Journal”, “The Next Web”, and much more. With this experience, it means that WordPress is certainly powerful enough to manage any website. Luckily, we have compiled a list of five important things that every WordPress user should consider doing in order to enhance the overall WordPress experience. First and foremost, having a backup for your website content is an important thing you need to consider. Set up and automatize your backup. Some companies provide the service of managing backups for you, but most don’t have this feature. In that case, you can choose between an appropriate plugin or, a WordPress backup service called VaultPress. Either way, you will be able to set up your backup to help you restore your data in case of a website failure. The title is one of the most important elements of your site. It acts as a guide that tells other people and search engines what your website is all about. You can find it under settings – general -WP dashboard. The title does not have to be similar to your URL. Keep it short, exact and don’t make it look spammy. The tagline is a slogan that completes the title. It is important to change the default tagline for your website. Favicon is a small icon that represents your site on the web. 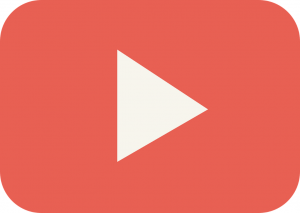 This seemingly marginal item is an integral part of your website’s visual identity. You can upload it really fast and start using it. You can access this feature by going to Appearance – Customize – Site Identity. We come from different parts of the world with different time zones. So, when starting a blog or website on WordPress, first set-up your time zone in the correct date and time format. To access this feature, go to Settings – General then click on the icon on date and time then you can choose your city from the list, and change your time zone. After that, your post’s time will be in sync with your town’s time zone and your scheduling will work as it should. WordPress offers a wonderful user experience with its plugins. There is a great number of both free and paid plugins that can do anything you want. You will have a great experience with plugins for security, antispam, post revision, google analytics, cache, backup and much more. You can even remove unwanted plugins or those old plugins that are not updated, as they may pose as potential security threats to your site. As you can see, there are loads of simple but important things related to WordPress to boost user experience. You may not get all of them at a go, but as you continue using WordPress, they will be clearer and easier to use. So, master the tricks and use WordPress to grow your blog or website. My Bio: My name is Mia Stokes. I am one of assignment writers in Australia. In every case, I use my writing skills in professional manner to to help people to find something useful, informative and relevant to their interests. I’m happy to share my knowledge, tips and advices in my articles. 10 Great Tips For Creating Compelling B2B Marketing Content How Can Digital Marketing Help With Enhancing Your Business Productivity?